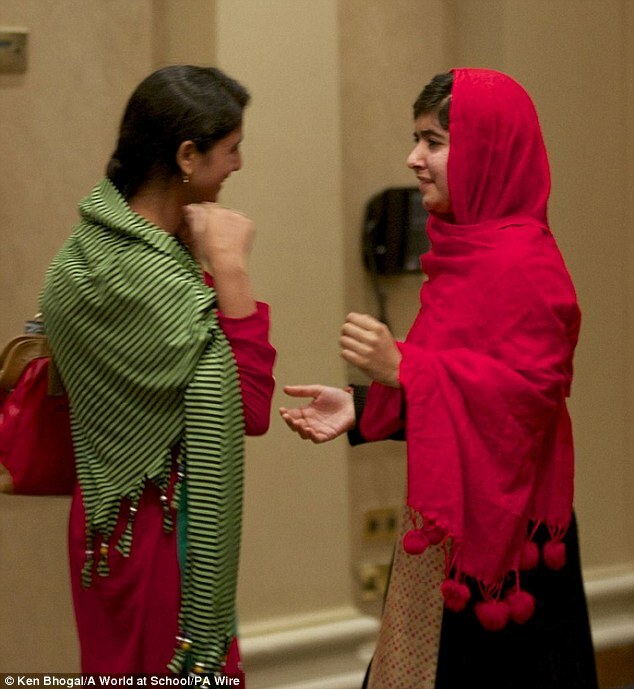 Malala Yousafzai, the Pakistani schoolgirl and activist who was shot in the head by the Taliban for wanting an education, has been reunited with her friend Shazia Ramzan who was on the same school bus when gunmen opened fire last October. 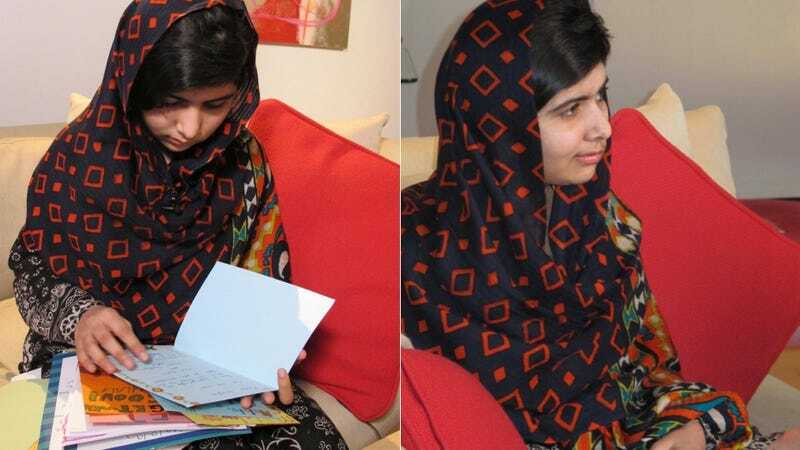 Fifteen-year-old Shazia suffered gunshot wounds on her neck and shoulder, but unlike her friend Malala, she remained in Pakistan after the attack, virtually unable to attend school and achieve her dream of becoming a doctor because of the constant threats made against her and her family. Shazia has been granted a student visa in the UK to continue her studies, where she finally got the chance to see her friend Malala again. Shazia fled to the UK after a recent deadly attack on a women's university in Quetta, and the brutal "honor killings" of two women murdered after they videotaped themselves enjoying the rain in Gilgit, Pakistan. She hopes to return to Pakistan after becoming a licensed doctor.